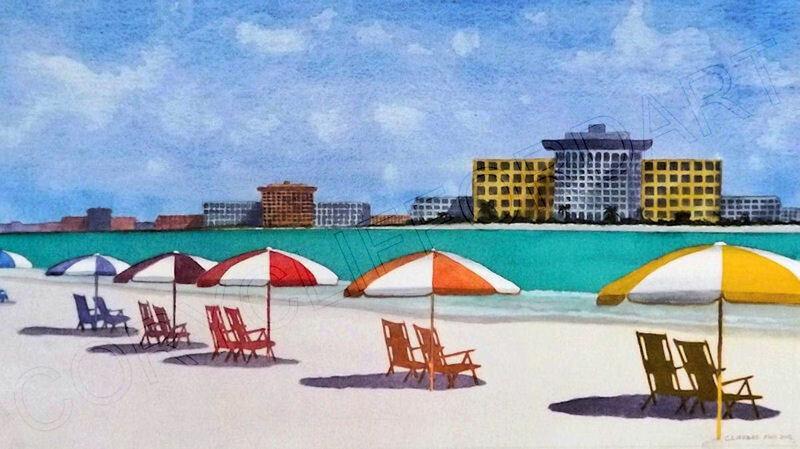 In this site you will find original contemporary watercolor paintings representing the Florida and tropical lifestyles, as well as other subject matter. Original paintings are for sale with links to purchase giclee (zhee-clay) prints and canvas giclee prints. My paintings are what I call landscape still lifes. In nature the paintings cannot occur in real life unless a perfect storm occurs in a single moment to create the exact circumstance for my paintings. My influences are many, however Richard Diebenkorn and Wayne Thiebaud are my favorites.